World and Olympic 800m champion Caster Semenya’s battle to stop a rule change affecting female athletes with high testosterone levels could see her miss “the bulk” of the 2019 outdoor season. Governing body the IAAF intended to bring in the new rules on 1 November but has put that back to 26 March 2019. It wants to wait for the outcome of a legal challenge from Semenya first. The new rules aim to restrict the levels of testosterone in female runners. 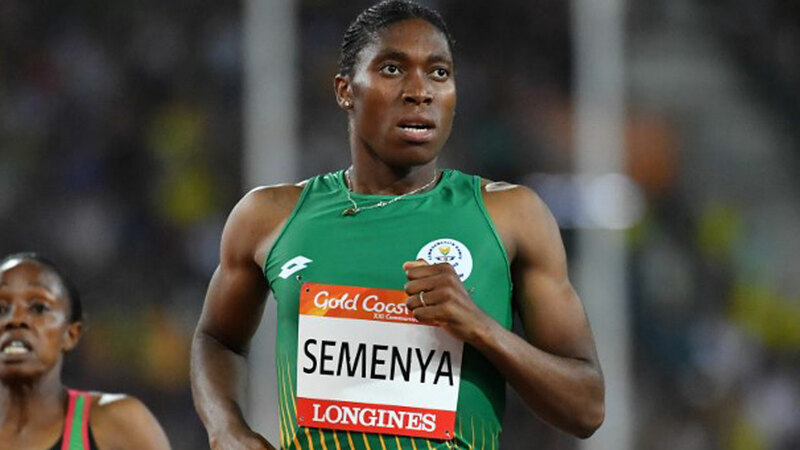 So the delay means female athletes with high testosterone – of whom South African Semenya is the most notable – will not be allowed to run for six months from the date the rule changes come in. That would take them to 26 September – just one day before the 2019 World Athletics Championships begin in Doha. Semenya, and Athletics South Africa (ASA), are challenging the rules at the Court of Arbitration for Sport (Cas). IAAF Health and Science department director Stephane Bermon said the governing body recognised the five-month shift “could result in affected athletes having to sit out the bulk of the outdoor season leading up to the World Championships, including international competitions such as the Diamond League, which begin in May 2019”. The IAAF’s proposed rule would mean some female runners with naturally high testosterone levels would have to race against men or change events, unless they took medication to control their levels. IAAF president Sebastian Coe said Semenya and ASA had agreed on the delay as part of a deal to get the legal case settled as quickly as possible. “We have agreed not to enforce the regulations against any athlete until the contested regulations are upheld,” he added.